TEMPO.CO, Jakarta - Vice Presidential Candidate No. 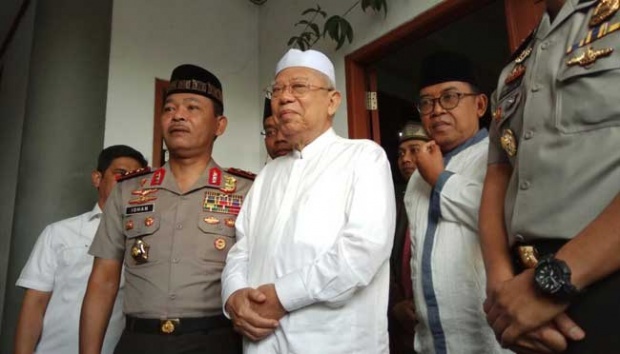 01 Ma`ruf Amin was quite relaxed in responding to the latest survey by the Saiful Mujani Research Center (SMRC) which showed the presence of the vice presidential candidate had no significant impact on the electability of the presidential candidate. Ma’ruf also said, there would be no breakthrough that he would do to increase the electability. “There’s no breakthrough, just normal,” said Ma’ruf Amin when met at the Bintang Hotel, Jakarta on Sunday, October 7. The SMRC survey showed the electability of the Jokowi-Ma'ruf Amin pair was 60.4 percent and Prabowo-Sandiaga was 29.8 percent. 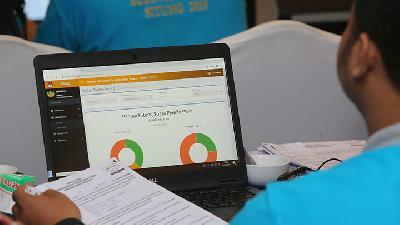 The electability of Jokowi-Ma’ruf Amin was supported by Jokowi’s high electability, which reached 60.2 percent. While Prabowo was only 28.7 percent. In other words, the SMRC concluded that the presence of the vice presidential candidate did not have a significant effect on the electability of the presidential candidate. The SMRC survey was conducted on September 7-24 and involved 1,074 respondents with multistage random sampling throughout Indonesia. The average margin of error from the survey with the sample size was approximately 3.05 percent at a 95 percent confidence level (assuming the simple random sampling).